The Ratio Coffee Machine doesn’t only make good coffee, it also looks good on your kitchen counter! 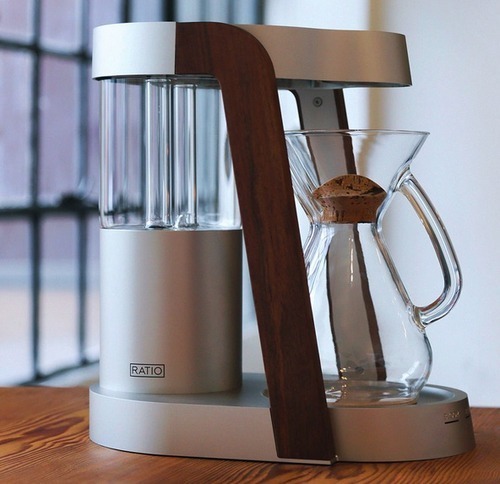 Ratio has a 1400 watt/110 volt heating element and brews up to 40oz. The wood used is walnut and each unit is entirely hand assembled and tested in Portland, Oregon. Order this month for $395 instead of the original retail price of $480. For more information, go to http://www.ratiocoffee.com/. Next Article The Ostrich Pillow Light – Sleep Everywhere!